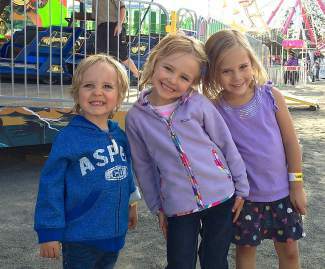 Brooks Erikson, Shelby Erikson and Elle Winslow were among children who had fun at the carnival. The California Carnival Company rolled into Truckee last week for the annual Truckee Carnival, Aug. 13-17. The carnival brought many thrilling rides, family oriented games, and unforgettable tasty treats to the Truckee River Regional Park. The carnival added three new rides this year, Tate said, including the debut in Truckee of the carnival’s Zero Gravity ride. 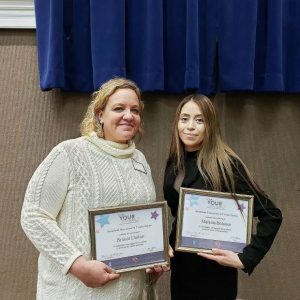 The California Carnival Company’s focus on families led them to partner with Incline Village’s nonprofit Tahoe’s Connection for Families. The carnival gives a portion of proceeds to TCF, and the event has become TCF’s second-largest annual fundraiser. “California Carnival Company offers a traditional summer experience for families, and Tahoe’s Connection for Families is thankful for their donation in supporting our parenting and child development programs,” said Laurean Meyer, TCF director. TCF is a parenting education and early childhood play center for infants and toddlers up to Kindergarten. TCF takes the guesswork out of parenting by providing families with the building blocks to develop their young children’s individual potential and future success through education and structured developmental play. For information, visit http://www.tcfkids.org and http://www.californiacarnival.com.